Have you tried Erborian Korean Skin Therapy? If not, now is the time! Eroborian is one of my favorite asian skincare brands and one that I love to explore! 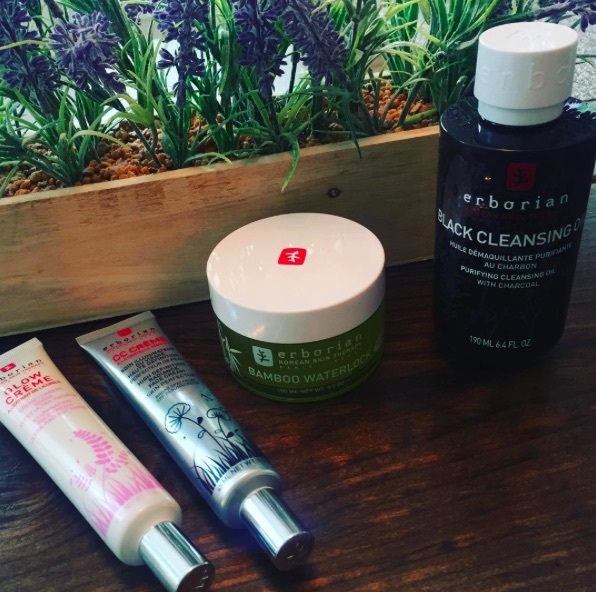 I have rounded up a few of my recent favorites from Erborian for us to chat about today: Erborian CC Creme, Erborian Glow Creme, Erborian Black Cleansing Oil, and Erborian Bamboo Waterlock Hydro Plumping Mask. To find out more about each of these amazing products from Erborian, then please click "read more" below! I am just loving Erborian Korean Skin Therapy skincare! Here is the scoop on each of these products from Erborian! I have used this awesome CC Cream off and on for a few years now. It is honestly one of my top favorite CC Creams of all time! 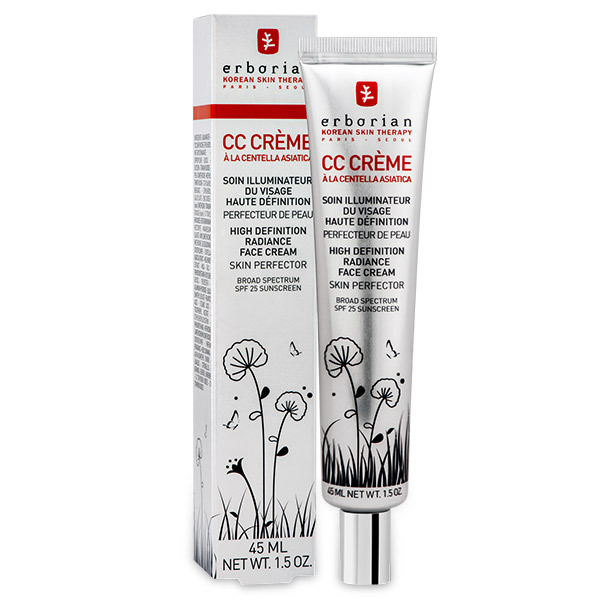 If you try only one item from Erborian, it needs to be this CC Cream! Korean women are known for their flawlessly smooth, even and picture-perfect complexions. Blending the best of Korean technology and no-fuss Parisian formulas, Erborian took CC Crème—a Korean staple—to the next level. This color-matching formula goes gradually adjusts to your skin tone, providing the appearance of perfect skin via a moisturizing, color correcting formula. Skin instantly feels moisturized and appears more vibrant—leaving your complexion HD ready. Retails for $44.00. Summer is the best time of year to get your glow on! What better way than this multi-tasker from Erborian! Erborian's Glow Creme is an all-over illuminator, highlighter, and makeup base in one, Glow Crème gives the skin’s complexion a fresh, dewy look, playing with the light, like crystals of ice catching the sun’s rays, as if creating a beautiful dazzling glow. Filled with brightening ingredients: licorice, poria cocos (a precious fungus that’s traditionally used as to help brighten the appearance of the skin), and niacinamide (a popular brightening ingredient in Seoul). 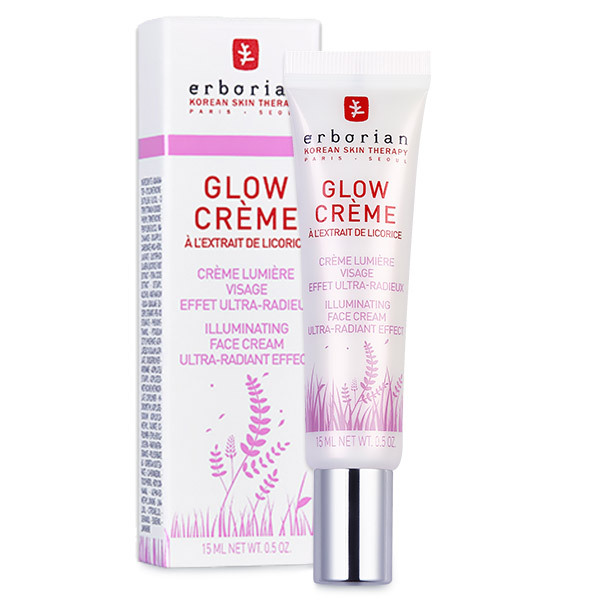 Erborian’s Glow Crème is also formulated with moisturizing glycols to help hydrate and soften the skin. Glow Crème will give you all the benefits of your favorite makeup primer while also keeping your Glow-up on point! Retails for $42.00. Combines the Korean cleansing technique with Charcoal, known for its purifying properties, to offer radiance and comfort. Upon contact with warm water, its silky texture transforms into a light emulsion, for a delicate yet effective cleansing action. It gently removes impurities, excess sebum andf even stubborn and waterproof makeup. Skin will feel clean, supple, and nourished while appearing clear, fresh and radiant. To use, massage over dry face, eyes and lips with fingertips using circular movements. Rinse with warm water. 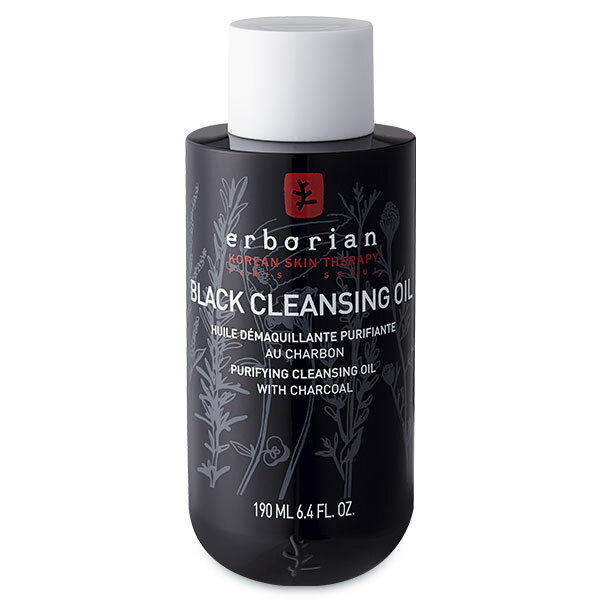 I am really loving this oil cleanse from Erborian! Honestly, I am hooked! Retails for $29.00. I love using plumping and hydrating masks in the Summer. I feel that the strong sun and hot air parches my skin. This soothing mask plumps up my skin and leaves me feeling so soft and hydrated. 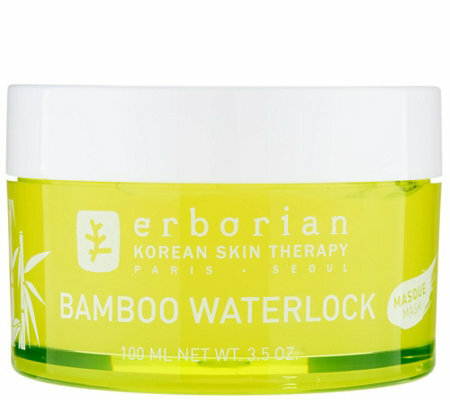 Erborian's Bamboo Waterlock Hydro Plumping Mask helps diminish the appearance of dehydrated skin. Utilizing a complex of Bamboo Sap and Fibers, this extremely moisturizing mask helps to plump skin with water and leave it feeling refreshed. The immediate surge of moisture helps soften the skin, and signs of fatigue appear reduced. This refreshing gel can be used in two ways – either as a mask that gets rinsed off, or for extra dehydrated skin, as a moisturizing leave-on treatment. The light aquagel texture, helps skin feel instantly comforted. With continued use, skin looks smoothed, soothed and softened. Retails for $43.00.